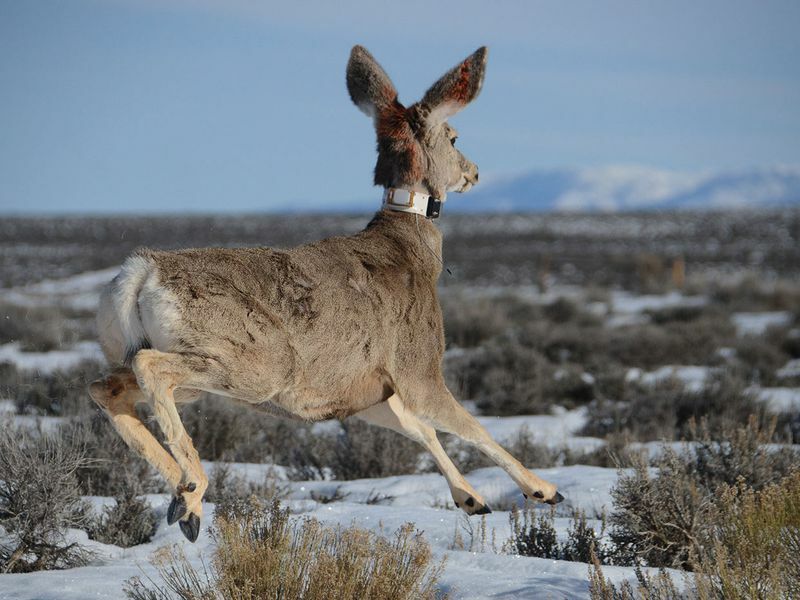 Each year as winter falls on mountainous western states like Wyoming, thousands of deer, elk, moose, bighorn sheep, bison and mountain goats begin their seasonal trek to lower elevations. These migrations are truly something to behold and as Smithsonian Magazine described, herd mammals follow historic routes, passed along by mother to young from year to year until they are instinctually ingrained in the animals. Some of the routes can take decades to become second nature and until recently-available GPS technology, researchers had no idea how expansive these migration corridors truly were and why it’s so important to protect them from man-made and climate-related interference. The National Parks Traveler explained in a recent piece that The Wyoming Migration Initiative was launched to contribute to the goal of sustaining migration corridors, which would require much research to determine where those corridors were and what measures were needed to sustain them. Wild Migrations is a report on the research done so far and its historical context, Its atlas format is intended to make that research accessible to many decision-makers. The goal of the project was and is to produce results that can be used in development and conservation planning and management to assure that migration corridors are protected. All major sections of the atlas are chock full of information provided as text, maps, charts, graphs, timelines, illustrations, and photographs. Why This Matters: For those of us who don’t get the chance to see wild places on a daily basis, science and photography are important tools that help inspire conservation. When it comes down to it, conservation isn’t a partisan issue and most Americans are in favor of protecting our wildlife. Even in Congress where bipartisanship seems like a rare occurrence, one of the first major pieces of bipartisan legislation introduced in this Congress is The Wildlife Conservation and Anti-Trafficking Act (H.R.864) which was introduced in the House this week and would strengthen federal enforcement against poachers, traffickers, and the global trade in illegal wildlife and seafood products. The bill would also provide dedicated funding for conservation efforts with no expense to taxpayers. Lawmakers can agree to a lot when it comes down to it and conservation is a good start!